CrossCheck is located in Wine Country, Sonoma County, California. And like many things, winemaking all comes down to the numbers that drive the business. As noted wine columnist Dan Berger said, "We have always had two-buck wines; but we were asked to pay eight bucks to get them. … The wine is worth it if you don't ask it to deliver more than that price point can deliver." This got me thinking about the payments industry's price-versus-value equation for merchants, and how it compares to the wine industry. One significant distinction is that interchange rates are published and immutable, until the next price increase from the card brands, which typically happens twice a year. Whether we use tiered pricing or interchange plus pricing, we know what it will cost us to process the transaction. Winemaking is different, because in farming, nature bats last. A farmer cannot predict the crop yield, quality or how much will be spoiled in production, and after all that – when the wine is ready for sale – what the market will support in terms of volume, pricing and demand. In spite of that, a lot of people tell me they want to get into the wine business. So here is a little primer on numbers that drive the business. Let's assume you are going to buy grapes on the open market rather than plant a vineyard. First, choose where to locate your operation. You want a distinct area, what the French call "terroir." You probably want to make at least 10,000 cases. Sonoma County has 17 American Viticultural Areas (AVAs), which are distinct, federally recognized growing regions. Once you choose your AVA and your supplier, you'll need about 10,000 square feet for the winemaking lab and offices, barrel storage, tank storage and equipment. This is a multimillion dollar investment for starters. 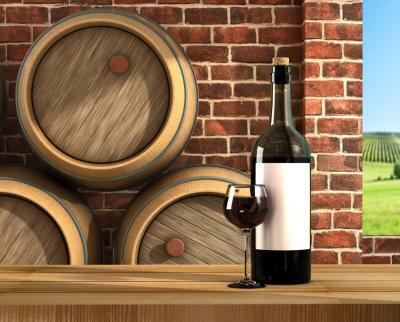 You'll need oak barrels, which can cost upward of $750 each. A barrel holds 25 cases of 12 bottles each. Now for the cash-flow time line: chardonnay will be in the barrel for 10 months, and cabernet for up to 24 months. Depending on the AVA, you'll pay about $1,500 a ton for chardonnay, or around $250,000 for 166 tons of chardonnay. The cost of grapes per case is approximately $37. To this, add the packaging costs per case – about $10 for corks, foils, labels, bottles and boxes. And add $10 per case for labor for the crush. You'll end up with a total cost per case of around $60. However, you aren't done yet. Next come licensing, taxes, state duties, insurance, utilities, vehicles, and office and winery supplies. Then you'll pay office staff, including workers comp, insurance, payroll taxes, etc., which will add another $10 per case. That brings the cost to roughly $70 a case. Now comes the hard part: selling the wine. Finding a distributor willing to accept you as a client is extremely difficult for a small winery. You'll sell the wine to the distributor for $125 a case, the distributor will sell it to the retailer for $160 a case, and the retailer will sell it to the consumer for $240 a case. You are selling your wine at around $10 a bottle, and the retailer is selling it for $20. What is wrong with this picture? Or more to the point, why would anyone do this? The answer: for the passion of being a winemaker, not for money. A winery needs to make a gross margin of around 40 percent for the business to be sustainable and make an acceptable profit. on investment. The numbers are pretty cut and dried. They fall into three categories: transactional, flat and incidental. Transaction fees comprise interchange and per-transaction fees set by the card brands and the networks they own. Flat fees are for things like terminal lease, payment gateway, PCI compliance, annual or monthly service, early termination, monthly minimum, statement, network, and online reporting, to name several. Incidental fees cover things like Address Verification System, retrieval requests, chargebacks, batching and non-sufficient funds. Unlike making wine, these fees are known and will not change except incrementally, perhaps annually. You know what they are, and you can base your pricing to the merchant on them; you could call them "wholesale pricing fees." As the processor and or reseller, you just have to add your markup to the transaction fees and create and price your own markup fees. It is pretty tough to screw this up, but it is possible if you have an underperforming sales organization that just cannot generate enough sales to sustain the business. There is another complication: merchant attrition. You can count on 20 percent of your base leaving every year, and you are going to have to replace them. This is almost a full-time job by itself. It would be disingenuous to pretend merchant pricing has always been equitable. The history of the acquiring industry is replete with unethical sales practices that do not need to be enumerated here. Many of these practices are disappearing as larger players take over the market, but they are still out there: junk fees, hidden markups, unannounced price changes and outrageous lease rates. In addition to constantly re-evaluating the markups needed to maintain your desired margin, you should be constantly aware of the margins your merchants need, because your job is to helpyour merchants succeed. For example, did you know that for its entire existence, Amazon's net margin is less than 2 percent? Or that Walmart operates on a net profit margin of less than 3 percent? Some of the most profitable segments are building supply and distribution retailers, who can achieve a 5 percent net margin, but that is double what an online retailer might achieve. Food and drug stores operate on a 1.5 percent margin. New car dealers are less than 2 percent. One thing to think about as you put yourself in your merchant's shoes is how your merchants cover overhead. For example, if a store has a monthly overhead of say $50,000 and makes 1,000 sales, the business need an average of $5 per sale just to cover expenses. But if something changes, as it always does in retail, and the store made only 500 sales, then it would need $10 per sale to cover costs. It seems obvious that all brick-and-mortar merchants need to reduce their costs. And in spite of what you hear about the so-called "retail apocalypse," ecommerce is still only 9.46 percent of total retail sales today, so brick-and-mortar is where it's at in retail. To lower the cost of sale, merchants need to investigate new payment channels that are an alternative to the card networks. Fundamentally, this means consumers pay from their bank accounts rather than with a Visa card. If a merchant's net margin is 3 percent, how can the business afford to pay 2.5 percent to process an electronic transaction? For years, Visa argued that this was a great deal because it brought increased sales to the store. Consumers could spend money they didn't have by just revolving their card balances – a booster shot for retail therapy. This argument, which might have held water 30 years ago, is looking specious today. Furthermore, it would be difficult to justify why the bank that issued the credit card is entitled to a fee of 2.5 percent of the retail sales price to clear an electronic transaction. The Sonoma County wine industry faced a similar dilemma with distribution costs but found an alternative solution: direct to consumer sales and in-house wine clubs. Some smaller wineries sell their entire output direct to consumers and via their wine clubs. You can imagine what this does to their margins, particularly for premium wines. Instead of making a profit of $4 a bottle, they are making $14 a bottle. It is the difference between success and failure for a small winery. Next month, I'll delve further into this topic and suggest solutions you can offer to your merchants that will allow them to improve their margins. Stay tuned.